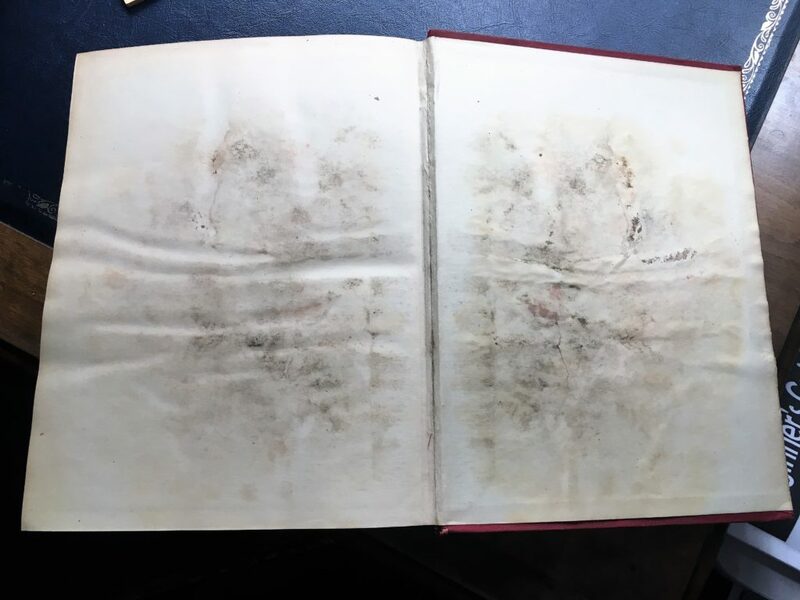 The main damage to these books was the cloth on each spine that had deteriorated badly with UV damage. Otherwise, the cloth was in reasonable order. There was also moisture and mould damage as shown in the photos. The books themselves were heavy and I used a smooth colour-matched leather to make two new spines. Two new cases were made incorporating the new leather spines and keeping the original boards. Hollows of strong Japanese paper were attached to the spines under the leather. 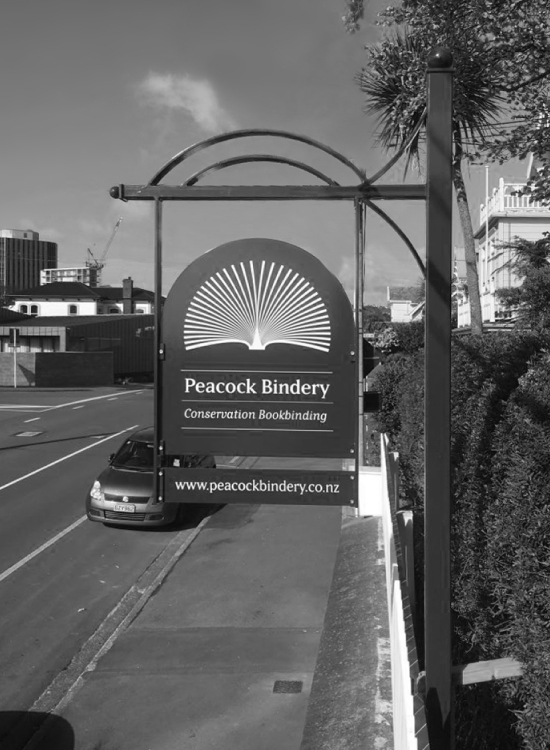 The books were then cased-in. Gold tooling was applied to the spines replicating the originals. Because of their weight, two separate slipcases were made to house the books. 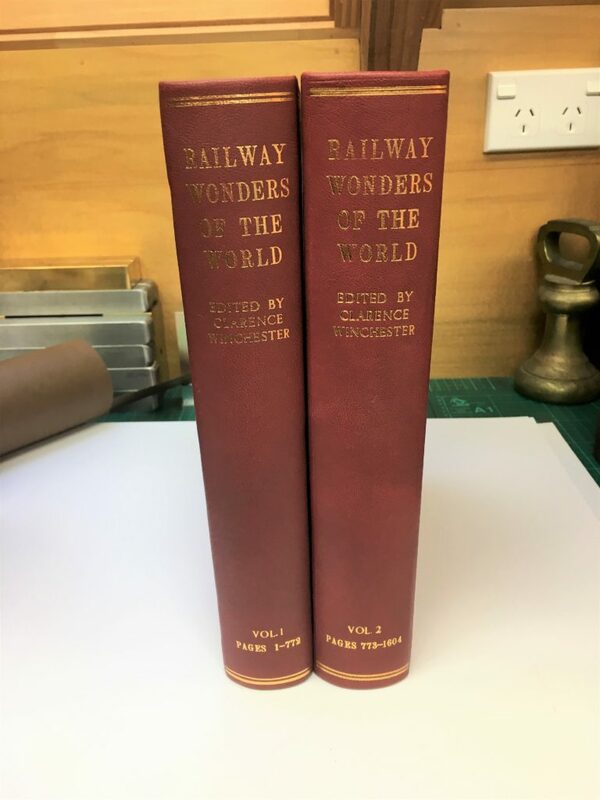 Railway Wonders of the World: two volumes before repair. The cloth was very faded and fragile from UV damage. 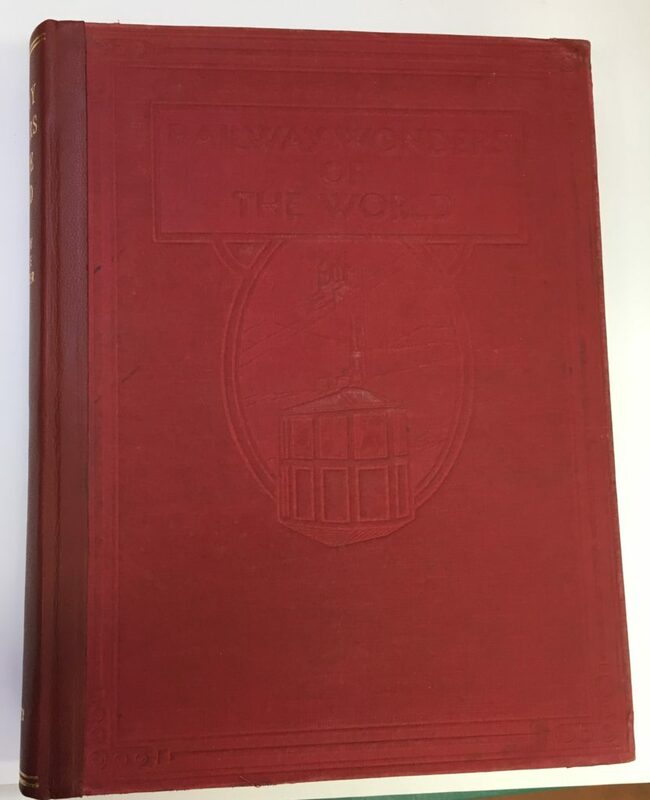 Railway Wonders of the World: back pages showing water and mould damage. 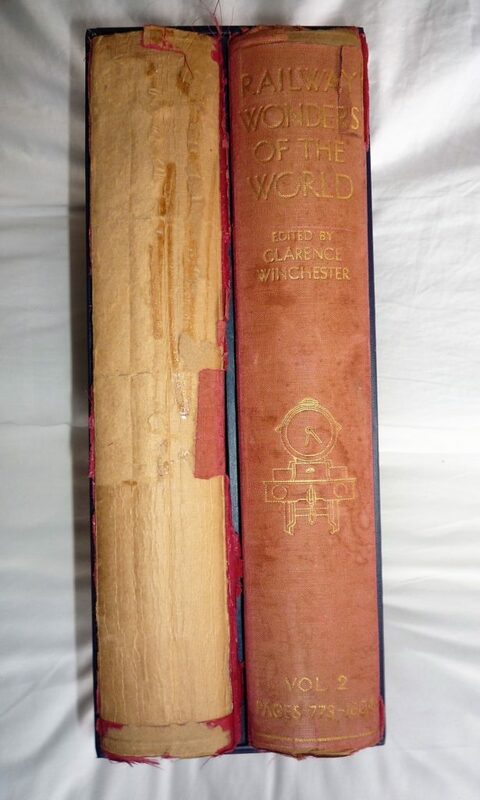 Railway Wonders of the World: new leather spine over original cloth sides. Railway Wonders of the World: new leather spines with gold titling to replicate the originals. 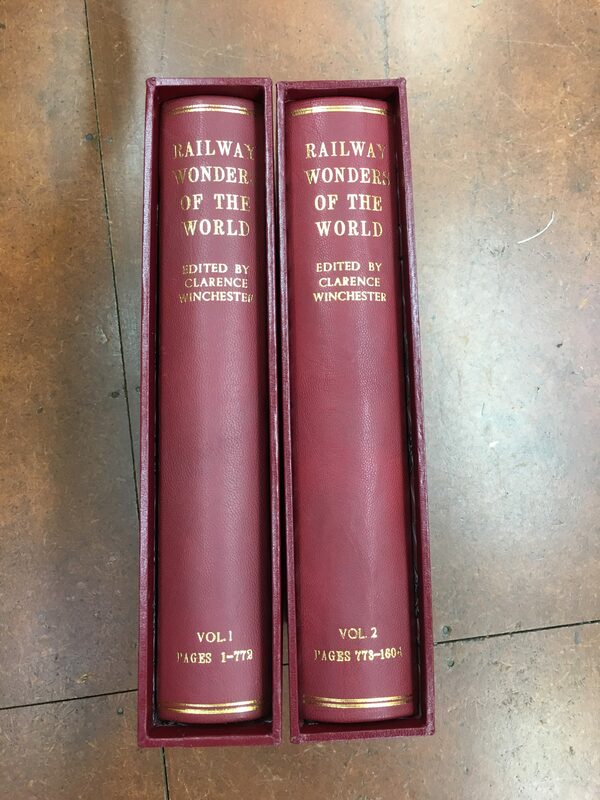 Railway Wonders of the World: two volumes after repair – each in its own slipcase. They were heavy books and the slipcases allow the books to stand up without stress on the bindings.